We are consultants in the oil and gas industry and we have built reputation as the credible company to bring sellers and buyer’s together to achieve common goals to enlist our services for any aspect of the oil and gas sub sector of the Nigerian economy. Our knowledge in the logistics and transportation hub and know-how in across the country makes us the number one choice of consultants to ensure that your goods are procured and delivered on schedule. We help provide small vessels and large vessels that meet the demand of users in the oil and gas sector. And Baysal Concept Int’l is continuously expanding in our services to meet the dynamic challenges of the oil and gas sector. We are recognized by analysts and customers alike as leaders in what we do, we help organizations reduce risk, detect fraud, enhance profitability and improve business performance. What make Baysal Concept Int’l different are our people, our sense of purpose and powerful services as voiced by our very own customers. In response to a growing international demand for our services, we are always seeking professionals, talented, motivated individuals with solid skills who are eager to succeed in an increasingly competitive marketplace. Our company, Baysal Concept Int’l is led by experienced professionals who have the depth and breadth of expertise in multiple disciplines that strengthen the strategic direction and organizational foundation of our company. Our leaders keep us customer-focused, innovative and highly results-oriented. Upstream and downstream of the petroleum industry. Marketing of BLCO, FORCADOS, AQUA-LITE, LPFO, HPFO etc. We are trading partner and consultants to sellers and buyers and are experts in the importation of Products globally; we ensure timely arrival of your petroleum products in any Safe World Port -guaranteed! - Logistic of all classes of goods across the country. - Direct Foreign Investment Representatives - Invest in Nigeria through Baysal Concept Int’l Ltd.
CRUDE OIL MARKETING: Baysal Concept Int’l markets Bonny Light Crude Oil and associated products through direct connection with primary seller in NNPC Bonny Terminal. We guarantee safe transactions because we take no risks and equally ensure our clients take no risk. There are standard procedures that allow the banks guarantee safe transaction. Over the years we have developed expertise on all variations of delivery. Our International clients trust us as the one stop shop for the processing and prompt delivery of crude oil in various modes of transaction. NOTE: NO ADVANCE FEE PAYMENT. Kindly go to any of the links and view or download the standard procedures. The procedures are subject to change to accommodate transaction realities were reasonable. 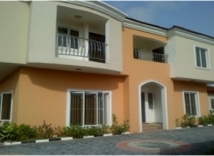 To demand a contract, the prospecting/potential buyer should officially write (Expression of Interest) stating the preferred mode of transaction, quoting acceptance/adherence to listed procedure and if applicable, the name(s) of the contact (s) through which BAYSAL CONCEPT INT’L LTD was introduced. BAYSAL CONCEPT INT’L is the Nigerian company to partner with when the business issues revolve around Nigerian Oil and Gas. We have the know-how and connection to take your business from where you are to where you want to be. The C.I.F procedure: Please call for it. With our C.I.F procedure, the transaction becomes credible, accountable and transparent and no advance fee/payment of any kind. ATTENTION: PLEASE CALL FOR PROCEDURE AND BUYER SHALL WRITE EXPRESSION OF INTEREST. THERE IS NO ADVANCE FEE PAYMENT OF ANY FORM TO ANYONE! THIS CONTRACT SHOULD BE COMPLETED AT LEAST 10 DAYS AFTER SIGNING THE SPA AND RECEIPT OF BANK CAPABILITY LETTER. YOU ALREADY HAVE A VESSEL? Call for procedure! LPFO allocation is available in large quantities through officially licenced parties. We have the connection and contacts to help legitimate buyers secure as much as the buyer has capacity for. Contact us for the conditions to successfully transact. NOTE: No upfront payments or cash is required from the buyer. 1. Buyer sends 'Expression of Interest' addressed to, Baysal Concept Int’l Ltd. Seller sends signed Contract to Buyer. 2. Buyer returns signed and sealed SPA in PDF to Seller. A. Buyer’s sends comprehensive company profile. B. Buyer bank issues Financial Capability Letter/payment undertaking in exact verbiage to Group Managing Director NNPC through seller companies as provided. C. Letter of Authority to verify funds in the provided verbiage. D. Payment undertaking letter/indemnity letter notarised. 4. NNPC re-assigns the allocation on verification in END-BUYER’S NAME within 72 hours and send the Allocation papers to Buyer’s bank and Buyer for verification. 5. 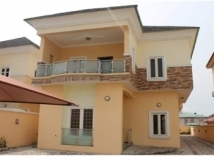 Buyer verifies the re-assigned Allocation papers and makes payment within 48 hours. 6. Buyer pay off all the intermediaries as was stated in the SPA. Disclaimer: Allocations are awards. It is the sole decision of the NNPC/PPMC to award LPFO allocations to companies or decline. The main handlers shall legitimately deploy their financial resources and influence to ensure the allocation is awarded in the name of the Buyer, However, both parties agree that neither the consultant nor the Main handlers shall be responsible for any compensation if the NNPC/PPMC decline to award the said allocation. FOR LPFO ALLOCATION? BAYSAL CONCEPT INT’L HAS THE CONTACT TO HELP YOU SECURE ALLOCATION WITHOUT ADVANCE FEE TO ANYONE! We have legitimate contact to help you source and secure LPFO from small quantity to up to 100,000 MT and above. This category is available through trucking to factories that make use of it throughout the country. We can deliver to any part of the country. Call us to negotiate terms of service. SEEKING LPFO? BAYSAL CONCEPT INT’L IS THE RIGHT CONTACT TO ASSIST YOU WITHOUT ADVANCED FEE TO ANYONE! This is available in two categories MARINE and TRUCKING. - Marine: This category is available on the high sea through CIF, TTO, TTT and Delivery to tank farms. For more information- Contact us. - Trucking: This category is available through trucking to companies, factories, homes and telecommunication masts around the nation and we also act in accordance to the laid down rules and procedures of NNPC and his regulators. We guarantee quality and quantity goods, timely delivery and best market price all the time to any part of the country. For information- Contact us. Baysal Concept Int’l is in the business of sourcing for credible buyers’ world over that has capacity to purchase genuine Oil Blocks in Nigeria. We have the connection and contacts of owners needing buyers. If you have a link to potential buyers of Oil Blocks please, send "Expression of Interest", Company profile and Proof of Funds. Baysal concept Int’l will only consider serious buyers that meet the above conditions. FOR OIL BLOCK PURCHASE, CONTACT US IMMEDIATELY FOR A CREDIBLE TRANSACTION. We help provide small vessels and large vessels that meet the demand of users in the oil and gas sector, and Baysal Concept Int’l is continuously expanding in our services to meet the dynamic challenges of the oil and gas sector. We sure have exactly what you want and definitely at the cheapest and affordable price. 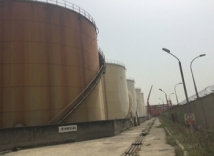 - TANK FARM SALES: We are in the business of Tank Farm procurement and sales. There are Tank Farms listed for sales. Our job is to make sure you have a profitable deal. Send us a mandate letter to close the transaction on your behalf. STORAGE, SALES OF TANK FARMS IS OUR BUSINESS. For more information- Contact us. We maintain stable network of distribution of products across the country. Taking finished products from factories to wherever they are needed for warehousing. We assist companies in planning and logistics while maintaining affordable consulting fee that assures win - win situation always and our cost effective reliable safe transportation will help. For more information- Contact us. The company has distinguished itself as a trusted advisor and Consultants to many Small and Medium Scale Enterprises, Real Estate, Logistic and Oil and Gas in Nigeria. We are poised to provide distinct wealth creation service and service delivery in the economy through mutual partnership.